Our Hausmatte artist Jonathan is settled in his new studio in Winchester but Switzerland is never far from his thoughts with two canvas commissions completed this Spring alone. This time he steps next door to canton Zug and Zürich gets the big canvas treatment and I am pleased to say that this is available exclusively for a short time through Hausmatte. For more information please contact us. This is a really beautiful canvas and there is an extraordinary amount of detail on this piece. I moved to Switzerland in 2007. Inspired by the landscapes of Ferdinand Hodler and the stories of Heinrich Harrer I began to explore the Alps in paint. I became obsessed by the way the mountains play with the light in different weather and how their forms adjust with the changing seasons. I am also particularly drawn to one mountain – The Eiger and its North Face. I always start with outdoor sketches and photographs, then I return to the studio, producing perhaps four or five drawings to give me ideas for the larger canvas. Then, working fast, the painting starts to take shape as different base colours are added. At this stage, colours are added directly into the sky to give depth and atmosphere. I am apprehensive as the painting comes together, working in bursts of several hours at a time over several months. I then bring the painting out of the studio and into our home so I can live with the image and get a feel of its direction – what works and what needs to be reworked. The painting slowly becomes my representation of the mountain and the impact it has on me. In 2016, I was completely overjoyed to be selected for the 2016 Royal Academy, Summer Exhibition in London UK. A significant professional milestone for me. I am delighted to showcase a selection of my work in such a vibrant and creative environment as Mama Rosi. 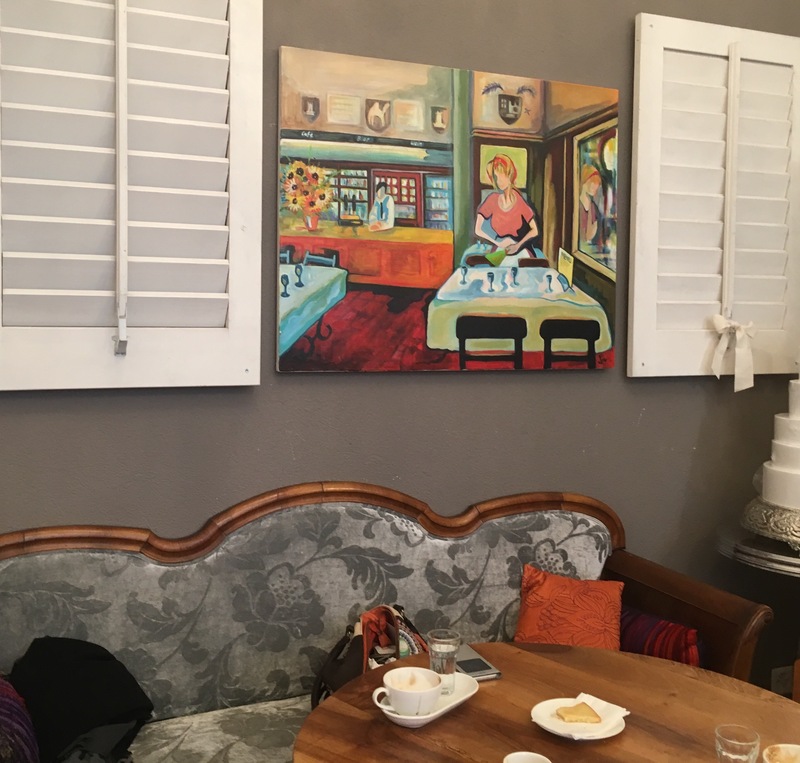 Such a perfect setting for some of my earlier work featuring cafe life, my paintings feel very at home here. I hope they enhance your experience. 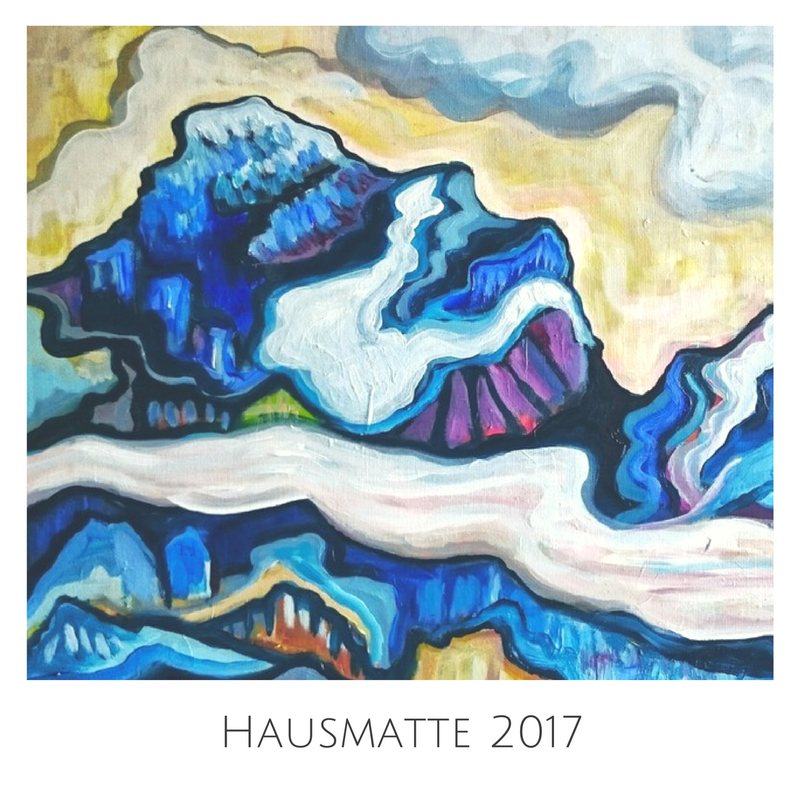 January is a time to look forward and at Hausmatte we can’t wait to see what our artists have planned for the coming year. 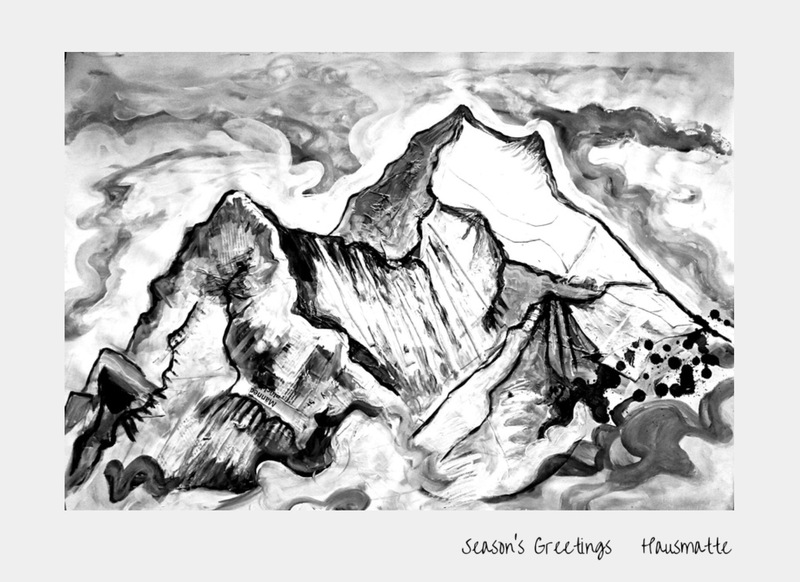 We hope your family and friends have enjoyed receiving their original artwork, prints and cards over the festive season and it means a lot to us that our gifts have travelled so far around the world. 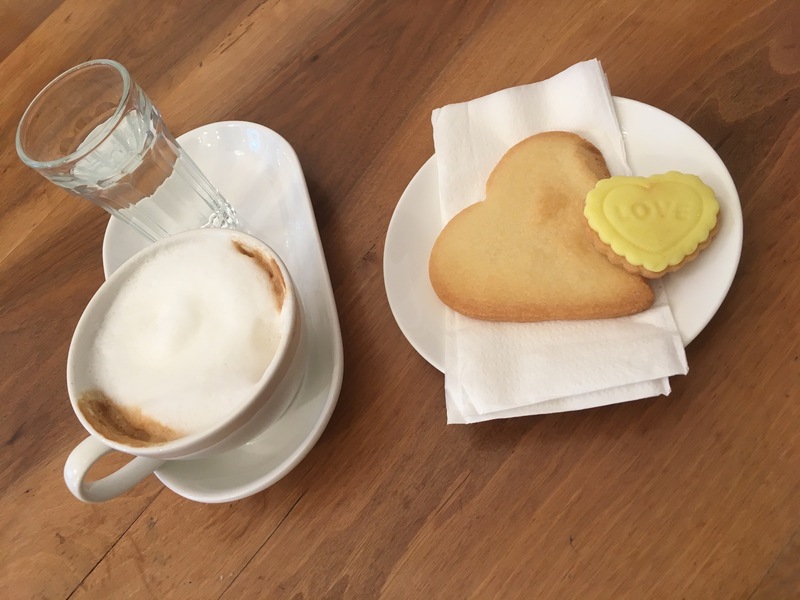 We always love to hear what you think we should work on next as we develop new projects here in Switzerland. Perhaps our artwork could be part of your own creative adventures as a business or family this year? For example, original art can create an impact in a bland space when you have an event, or a licensed image for your invitations or marketing material can be dramatic. We would love to hear from you at alex@hausmatte.com and remember, we don’t just bring the artwork, we bring ideas too. Wishing all our friends a successful and inspiring 2017 and thank you again for all your support last year.